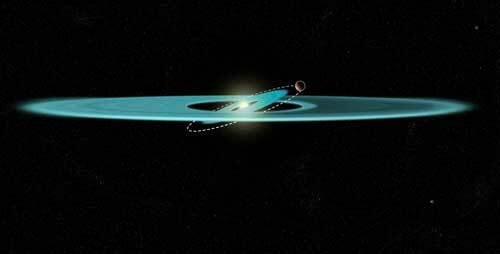 (Nanowerk News) Searching for planets around other stars is a tricky business. They're so small and faint that it's hard to spot them. But a possible planet in a nearby stellar system may be betraying its presence in a unique way: by a shadow that is sweeping across the face of a vast pancake-shaped gas-and-dust disk surrounding a young star. A team of astronomers led by John Debes of the Space Telescope Science Institute in Baltimore, Maryland say this scenario is the most plausible explanation for the shadow they spotted in the stellar system TW Hydrae, located 192 light-years away in the constellation Hydra, also known as the Female Water Snake. The star is roughly 8 million years old and slightly less massive than our sun. Debes' team uncovered the phenomenon while analyzing 18 years' worth of archival observations taken by NASA's Hubble Space Telescope. Debes presented his team's results Jan. 7 at the winter meeting of the American Astronomical Society in Grapevine, Texas. Searching the archive, Debes' team put together six images from several different epochs. The observations were made by STIS and by the Hubble's Near Infrared Camera and Multi-Object Spectrometer (NICMOS). Given the relatively short 16-year period of the clocklike moving shadow, the planet is estimated to be about 100 million miles from the star -- about as close as Earth is from the sun. The planet would be roughly the size of Jupiter to have enough gravity to pull the material up out of the plane of the main disk. The planet's gravitational pull causes the disk to wobble, or precess, around the star, giving the shadow its 16-year rotational period. 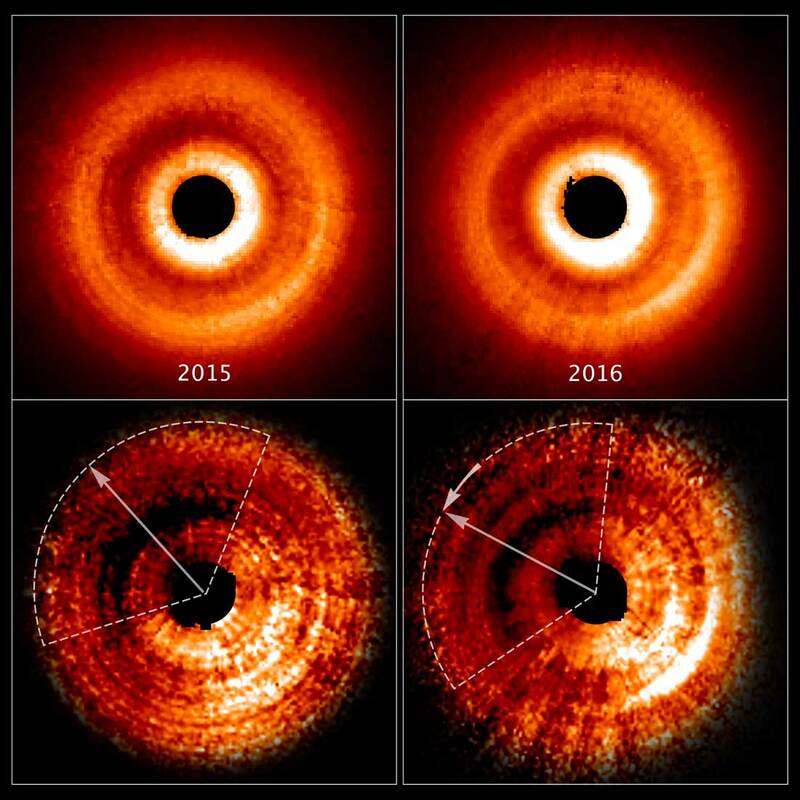 This new Hubble study, however, offers a unique way to look for planets hiding in the inner part of the disk and probe what is happening very close to the star, which is not reachable in direct imaging by current telescopes. "What is surprising is that we can learn something about an unseen part of the disk by studying the disk's outer region and by measuring the motion, location, and behavior of a shadow," Debes said. "This study shows us that even these large disks, whose inner regions are unobservable, are still dynamic, or changing in detectable ways which we didn't imagine."